This year I participated in the Sketchbook Project for the Brooklyn Art Library. 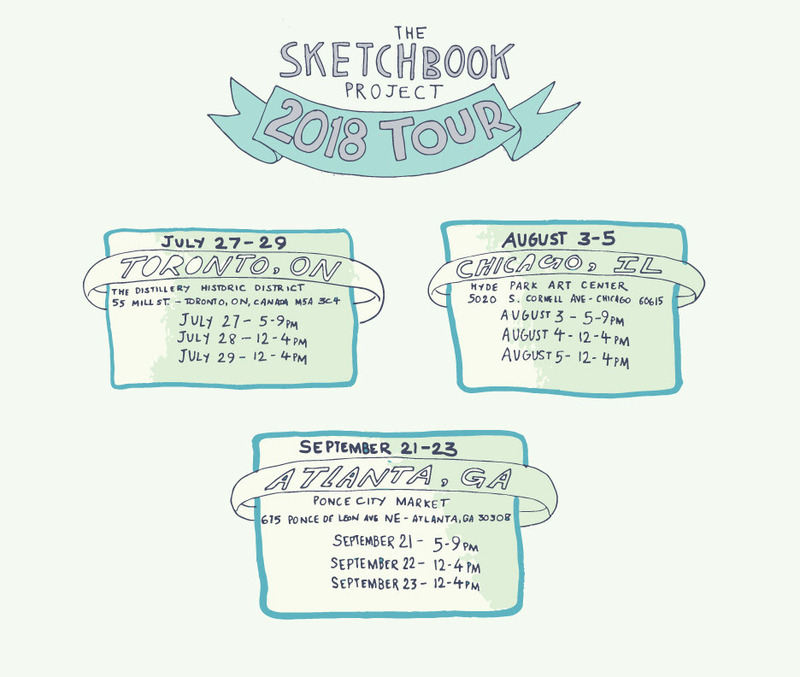 If you’d like to see my sketchbook in person but don’t live in Brooklyn, the whole 2018 collection is going on tour. It will be in Chicago August 3-5 at Hyde Park Arts Center 5020 S Cornell Ave Chicago, IL 60615 and in ATLANTA September 21 – 23 at Ponce City Market 675 Ponce De Leon Ave NE Atlanta, GA 30308. Check out a digital copy of my sketchbook here.